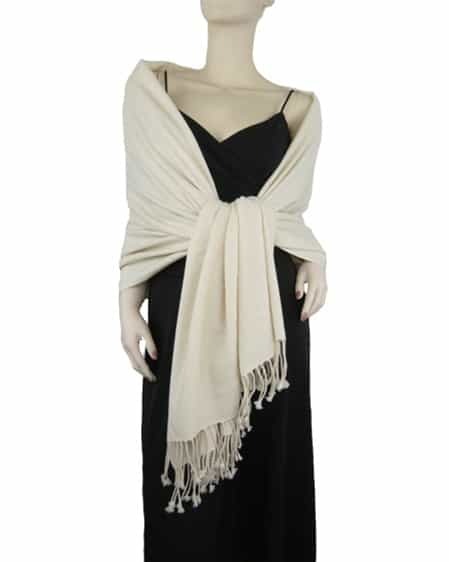 The Pashmina Store is proud to bring you the finest quality Beige 100% pashmina wraps at exceptional values. These are a nice addition to my collection of colors. This is a nice neutral tone that I can wear often. These are quite nice. A nice soft beige tone, not too dark and not too light. The 2 ply is a good weight and makes it fold up fairly small to fit in my purse. It's so lovely and light. You may smile to learn that I purchased it for my little 13.5 year-old bunny for the hours we snuggle together. Just amazing. A fond customer.